Born and raised in the U.K., Bill and his wife, Stella, emigrated to Canada in January 1966, where he joined CIL as a Project Engineer in Valleyfield, Quebec. In the 20 years following, they lived, worked, and studied in several cities across Canada, eventually moving to Halifax in 1986, where Bill became Director, Facilities Management at Dalhousie University. Prior to coming to Halifax, they lived in Victoria, B.C., where Bill was a Vice President at Royal Jubilee Hospital. During that time, he served on the Board of the SALTS Sail and Life Training Society, and as Chair of the Greater Victoria Adult Daycare Society. Bill and Stella have one daughter, Kate, who, from an early age, took violin lessons from Symphony Nova Scotia first violin Karen Langille. It was Kate’s membership in the Nova Scotia Youth Orchestra in the early ‘90s that led Bill to volunteer as an NSYO Board member and then, again, from 2011 to 2018, where he served as President for several years and, latterly, as Secretary. With his fellow executive members, Bill helped negotiate the “adoption” of the NSYO by Symphony Nova Scotia in October 2018. Bill is a member of St. Paul’s Anglican Church, Halifax, where he has served in several capacities, including as Rector’s Warden. He is also Vice President, and Past-President, of St. Paul’s Home, a charitable society supporting “at-risk” youth by providing Phoenix Youth Society and other such agencies with rent-free properties. Bill and Stella have been Symphony Nova Scotia subscribers for over 25 years, counting the opportunity to hear first-class live classical music a joy and a privilege. 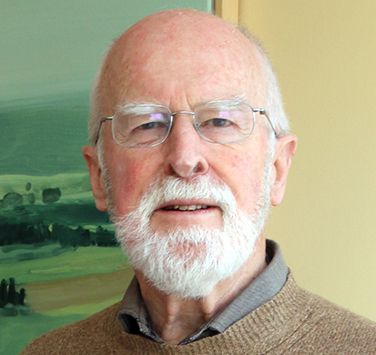 Bill retired from Dalhousie in 2001 and, together with Stella, enjoys travel within Canada and abroad.